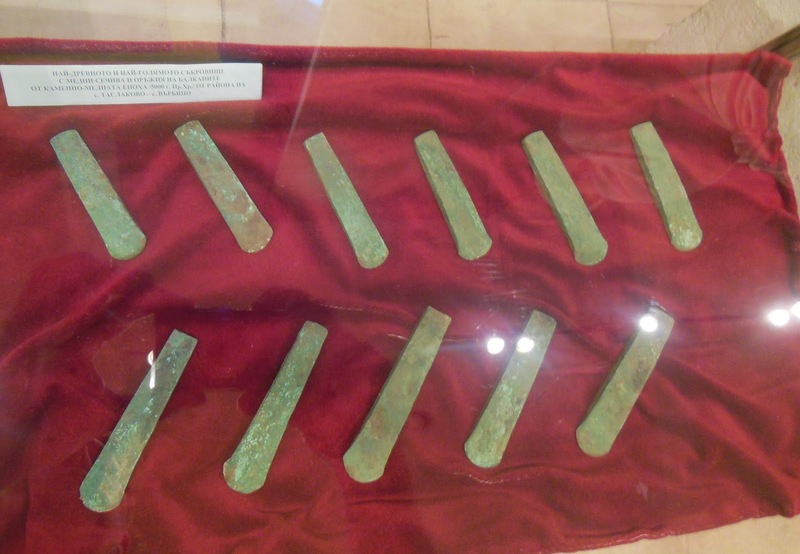 The Museum of Archaeology in Bulgaria’s Danube city of Silistra has shown to the public for the first time a newly discovered “prehistoric treasure" of 22 copper adzes from the Bronze Age that have been confiscated from local treasure hunters by the police and the courts. More precisely, the 7,000-year-old copper tools have been dated to the second half of the 5th millennium BC, or the Chalcolithic (Aeneolithic, Copper Age), an early phase of the Bronze Age. 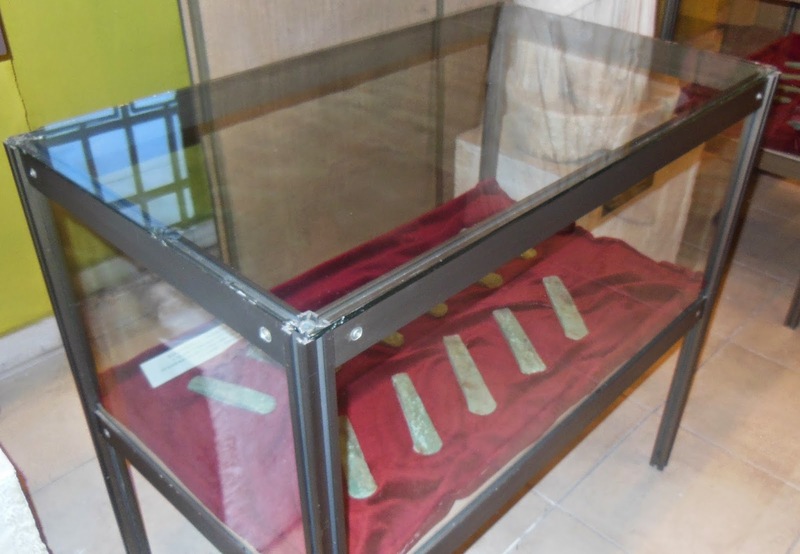 They have been shown to the public for the first time by the Museum of Archaeology in Silistra, which is a department of the Silistra Regional Museum of History, during the recent events for the European Night of Museums, reports local news blog Versinaj. The collection of Bronze Age artifacts, described as adzes similar to modern-day claw-hammers, is said to be “the largest treasure of Chalcolithic tools ever found on the Balkan Peninsula", and possibly beyond. It has been presented by Prof. Georgi Atanasov, head of the Archaeology Museum in the Silistra Regional Museum of History. Atanasov has explained that the prehistoric copper tools were first seized from treasure hunters in the Silistra District by the police, and were then transferred to the nearby city of Ruse. There the local prosecutors and judges helped send them to the Silistra Museum because it has jurisdiction over all archaeological artifacts found in the District of Silistra. The authorities have established that the treasure hunters originally discovered the artifacts near the town of Povkovnik Taslakovo, Dulovo Municipality, Silistra District. According to the Bulgarian archaeologists, the Chalcolithic artifacts in question are no ordinary tools but insignias, i.e. tokens of power and status which were typical for the respective prehistoric period. “The discovery of the collective find of copper adzes near the town of Polkovnik Taslakovo, Dulovo Municipality, is one of the most important discoveries for the study of ancient metallurgy in the past few decades," Assist. Prof. Vladimir Slavchev from the Varna Museum of Archaeology is quoted as saying. “What is even more precious is the uniformity of the tools. This creates a unique opportunity for studying the technology of the casting of the adzes and the methods used by the ancient metallurgists." Treasure hunting and illegal trafficking of antiques have been rampant in Bulgaria after the collapse of the communism regime in 1989 (and allegedly before that). Estimates vary but some consider this the second most profitable activity for the Bulgarian mafia after drug trafficking. One recent estimate suggests its annual turnover amounts to BGN 500 million (app. EUR 260 million), and estimates of the number of those involved range from about 5 000 to 200 000 – 300 000, the vast majority of whom are impoverished low-level diggers.